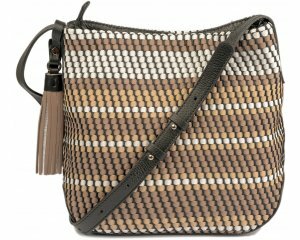 Kipling Alvar K13335 is a women's cross shoulder bag with a slim, compact design. Wear the bag on your shoulder or across the body for an easy on the go wear. The bag features plenty of zipped compartments which makes organising easier. Available in pastel beige (beige), vibrant red (red), soft earthy (brown), multi stripes (multi), warm grey (grey), crimson (burgundy), pastel blue (blue). W33 x H26 x D4.5 cm.